The Shoe Lady wears a women’s size 11.5M. She can not begin to express the pain of trying to find that size in a regular shoe store. But she has been working hard to make sure it will be easier for the women who follow in her footsteps… so to speak. She’s on a crusade to have the shoe industry pay more attention to these sizes. And it is in the industry’s best interest. Over 30% of all women in the USA wear a size 10 or above, and that was as of 2000. I live in Montreal, Canada and i’ve been looking for comfortables, stylish, wide shoes but it’s difficult to find that on stores. I’ve heard Aerosoles has good reputation on comfort and I’m interested in one model you offer from aerosoles but I’m a little bit confused with the size chart. I’ve normally a 9 size wideeeeee size, but according to your webiste it owuld be a 10.5 size. My measure is 26 cms lengh, 11 cms wide. As I’m in Canada and i’ll have to pay customs and shipping I want to be pretty sure on my size for your website. I commend the wisdom of your frugality. But I am perplexed. Is wideeee a width designation in Canada? If you trust the measuring you did on your feet, I think you should be wearing an 8.5 WW (extra wide). Alas, Aerosoles does not make their styles in extra wide, only in wide. But there are several brands that DO make extra wide that you may like. I suggest you take a look at Bella Vita, Naturalizer, Soft Spots, Softwalk, and Trotters. Or search by 8.5 WW. 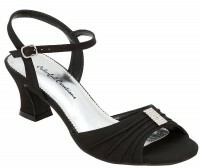 Feel free to contact DesignerShoes.com at info@designershoes.com if you have any specific shoe questions. By wideeeeeeeee, I just meant that I have always problem finding shoes that fits comfortable when shopping on normal stores. I’ve attached a foot print I took some days ago, I guees is Round, could you suggest me what foot style to shop on your website? 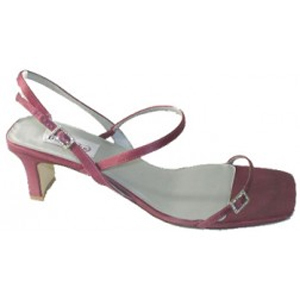 Shoe manufacturers assume the “ball to heel” measurement when they make shoes and also assume the shoe wearer. Has average length toes. If toes are longer or shorter, the shoe will not fit well. You need to have the lines perpendicular so that each of the angles created by the lines is a 90 degree angle, all equal. And you need to start by drawing a line that makes the top of the T with the line that goes up the center of your foot. The line that is the top of the T must be perpendicular to the center line and at the top of the longest toe. Look carefully at the size chart diagram and draw your lines and do your measurements again. I change the measures, the length didn’t change a lot, 25.8 cms with a 10.5 cms wide. As well I think they are more into the round or circle form. that would be between 9 or 9.5 wide for women? Based on length and width, you should be looking at a US size 10 wide (W). That is roughly equivalent to a UK 8 or an EU 41. 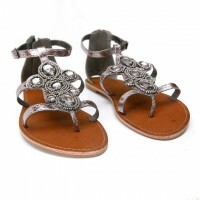 Aerosoles does have some very cute, comfortable flats in size 10W. I had bunion surgery. Now I want to baby my feet and it would be important to add doctor recommended Superfeet insoles into all of my shoes. I will go up a width (from medium to wide) so I can insert the insole and not have the shoe too tight. 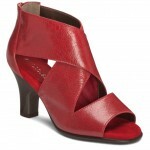 Regarding the ankle area that may be too loose, would it work to add a cushioned insert on the side of the heel? Can I order a few pairs of shoes and send back what doesn’t work? After awhile, I should be able to figure out what brand, size and width work best. I hope you baby yourself all over after bunion surgery. Staying off your feet during recovery can affect your whole body, muscle tone in your legs, the movement in your shoulders that comes from swinging your arms. Bunion surgery, any foot surgery, is a “full body” experience! Now for your feet. There are many different kinds of insole inserts. And you will be pleased to learn that some brands and a few styles within other brands actually design their shoes with removable insoles. For starters, I suggest you take a look at the Propet brand (new spring styles should be on line by Friday and they look terrific!) 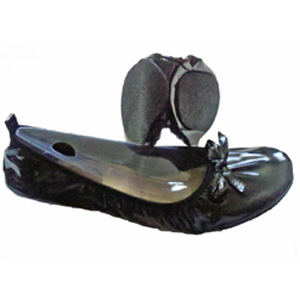 Every Propet (except open sandals) has removable footbeds. 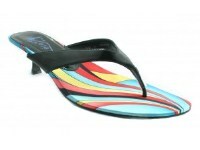 Go with your regular size and width, and get a shoe designed to accommodate an insole insert. That’s my top recommendation. If you want to have a broader range of style choices, you can order the shoes in one width wider than your regular size. Before you do this, please read this: About wide size shoes. Manufacturers use different techniques to make shoes wider. As for the ankle, if you have to start retrofitting with cushioned heel inserts, you probably have the wrong shoe style or size. Order shoes and if they don’t fit, return them. You will be refunded as long as the shoes are still in “new” condition. Best wishes for a healthy and successful recovery.